Welcome to eSolutionLab; the leading technology hub to design, develop, market, manage, and maintain your complex online presence! 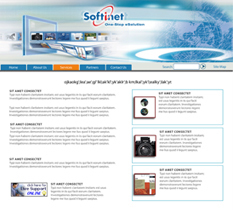 Softinet - an eSolutionLab company; provides the most cost-effective network application, system development and support services to meet emerging challenges and to stay ahead of the competitive market! 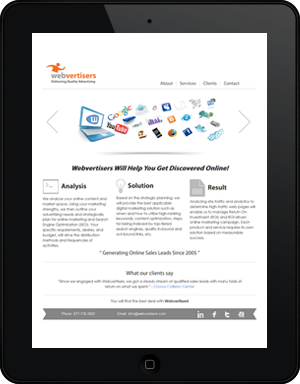 Webvertisers - an eSolutionLab company; provides the most cost-effective online marketing services including SEO, SEM, PPC, social media advertising / maintenance, and brand advertising services with the highest ROI! 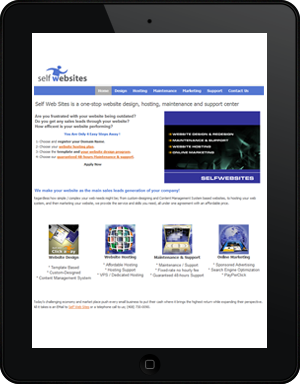 Selfwebsites - an eSolutionLab company; provides the most cost-effective website design, dynamic and mobile web application development, maintenance, hosting, and support services to meet next generation challenges! eSolutionLab - provides analysis, design, development, integration, hosting, and support of back-office and productivity systems such as multi-contributor CMS, CRMS, ERPS, HRIS, and integrated systems! All your online needs under one roof with a dedicated account manager. From conceptual design, to development, marketing, and sales leads generation, we are your one contact for all of your online services! We will initiate the process with your marketplace in mind, and plan strategic goals with help from your team. We then plan action items to design for your trademark, develop easy-to-access brand marketing, monitor tactical milestones and online progress, optimize online acquisitions, and maintain and support your business all the way! Analyze audience/engagement, market desires/activities, accurate data/information, existing domain expertise, etc. Conceptual envisioning, information modeling/architect, design choice, site structure, system architecture, etc. Application design, development, integration, infrastructure/n-tiered implementation, programming/coding, testing, etc. Strategic planning, measurable methods, promotional actions, clear advertising, SEO, SEM, PPC, social media, etc. System monitoring, content updates, ongoing enhancements, performance optimization, dedicated support, etc. eSolutionLab entities offer complete online needs under one roof to give you one point of contact to serve all your online and digital needs. Let us engage with you and your team to serve your computing and digital needs via a broad-picture and inter-related fields! We couldn't find a better place than your office to develop our website and run our online marketing campaigns. You just go the extra mile for your customers and guide them with expertise… Professionalism, experience, knowledge, and great customer service is definitely Softinet trademark. We have gotten more patients in January from our online marketing... these are generally quality patients... This is great. Have been very happy with results. We have received numerous compliments about our website from visitors since the new design went live. Not only did you succeed in the design of a challenging product set, you and your team have been extremely responsive and a pleasure to work with! eSolutionLab, Inc. is a full-stack combined e-Business and One-Stop e-Solutions provider. Our engineers, certified technical consultants, and professional technology specialists deliver integrated technology services from conceptual design to solution planning, development, implementation, and support of computing systems, back office/IT automation, web/online structures, online marketing and sales leads generation to boost your brand and creative values all under one roof. Using our technical knowledge and your specific needs, our professionals streamline delivery of “right solutions” to your offerings with minimal ramp-up time. Products, project, and program management (Agile/Scrum, waterfall, hybrid!). 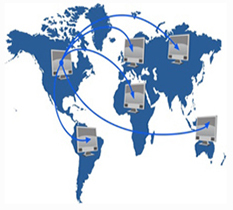 Computing networks, server rooms/labs, and complete internetworking solutions. Computing/virtual systems, data analytics, and Artificial Intelligence solutions. Website design, corporate brand creation, graphics and creative arts solutions. 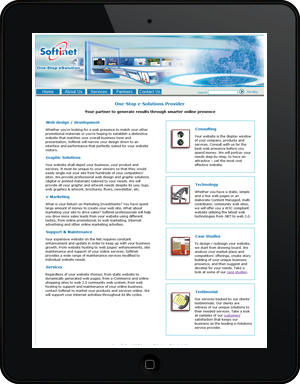 Website development; user-centric web/mobile application architect and support. Template driven, custom developed, or Content Managed (CMS) web solutions. 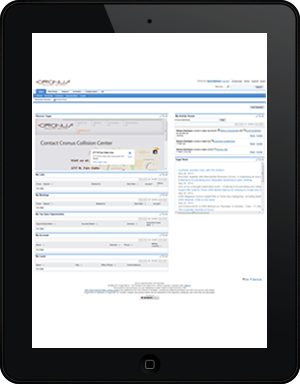 Custom developed web apps architect, integration, support (CMS, CRMS, ERPS, HRIS). 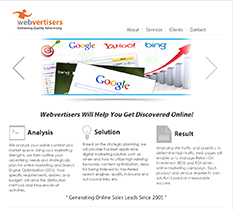 Search Engine Optimization (SEO), Search Engine Marketing (SEM), local/high-traffic directory marketing, online and social media marketing. Search Engine Advertising (PPC – AdWords, Bing, etc.) and online sales leads generation & support. Web hosting and maintenance services (upgrades, enhancements, updates, and support). From resource management to online presence and brand recognition, we will be your partner to achieve beyond settings! This will be a twitter feed coming from eSolutionLab twit account. Each twit will be related to one of the websites and its services. Some twits may be about one of the customers’ of eSolutionLab services! @ 2015 eSolutionLab, Inc. All Rights Reserved.